Okay so why the name China Plum Jam? Well I wanted to make my plum jam a little more spicy and as I adore the plum sauce in Chinese restaurants I thought I would incorporate a few of the spices they use in my jam. 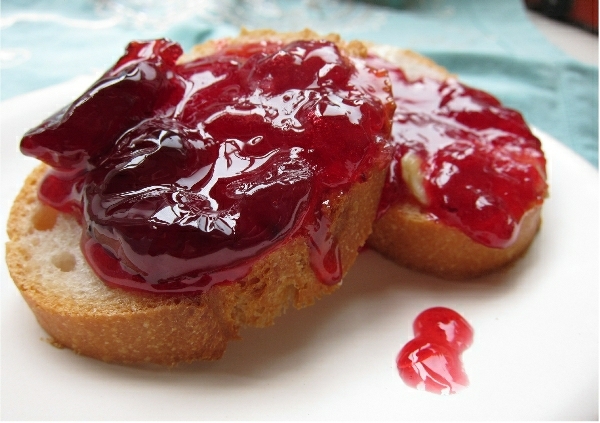 I love making plum jam and this one is great for using in both sweet and savoury ways. What is in this China Plum Jam? Plums of course but thise all important spices play a huge part. I have used chilli, cinnamon, star anise and vanilla, oh the heat and aromatic spice. Plums always seem to be plentiful in the shops and as this is such an easy jam to make it makes a really good store cupboard basic to keep on hand throughout the year. It also makes a great foodie gift for Christmas, so think ahead! Enjoy on toast, pancakes, scones or with duck or pork. 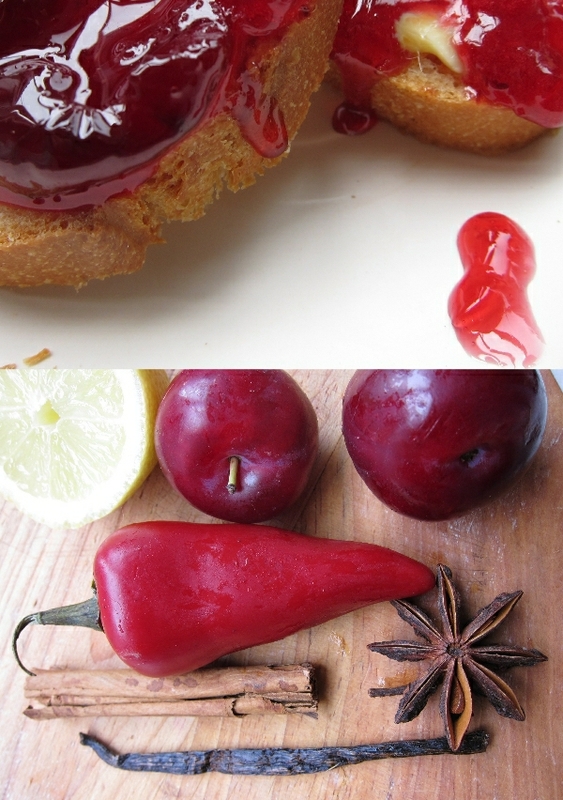 Remove stones from plums and cut in half. Toss the plums, cinnamon, star anise and vanilla pod into your preserving pan. Finely chop the chili and remove the seeds. Add this to the pan along with the zest of the lemon and all the juice. Add the sugar and heat slowly to dissolve. Now ramp up the heat and boil madly for about 10 minutes or until a spoonful of the jam sets to a crinkle on a chilled saucer.